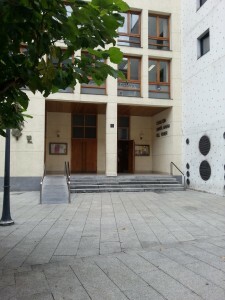 Santa Maria del Fener, Carrer Sant Salvador, Andorra la Vella. 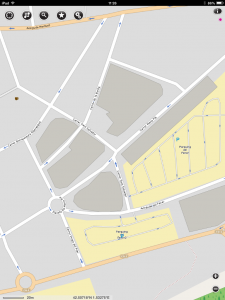 Parking is available at the El Fener car park which is just one minute away from the church. The easiest way to find the church is probably to look for or ask for the old main fire station (“Bombers”) as this is right on a corner and the church is just 20 metres away – a small set of doors in what could be an office building (actually it houses the offices of Caritas among other things). 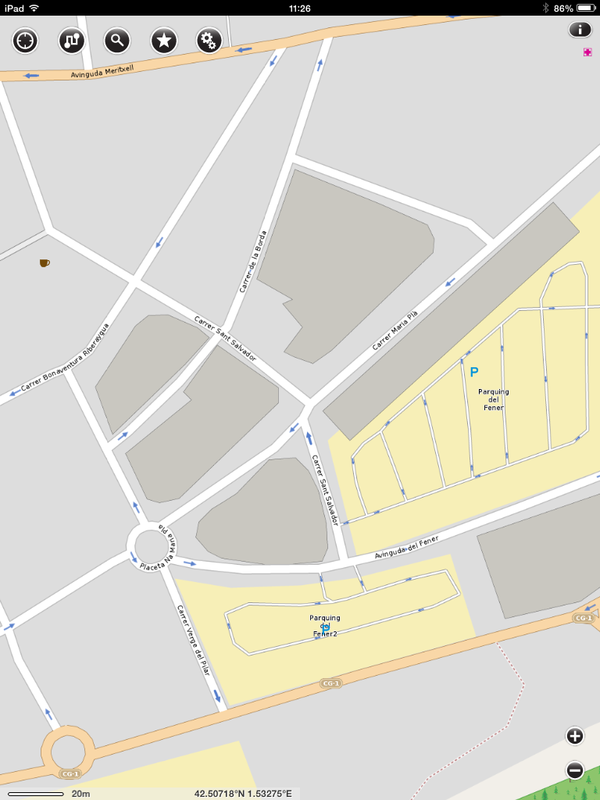 This map shows the Fener car park (the big yellow segment) which is behind a row of shops (in grey) and left and above that is a big grey block with a “bite” out of it – the church entrance is right in the “bite”! 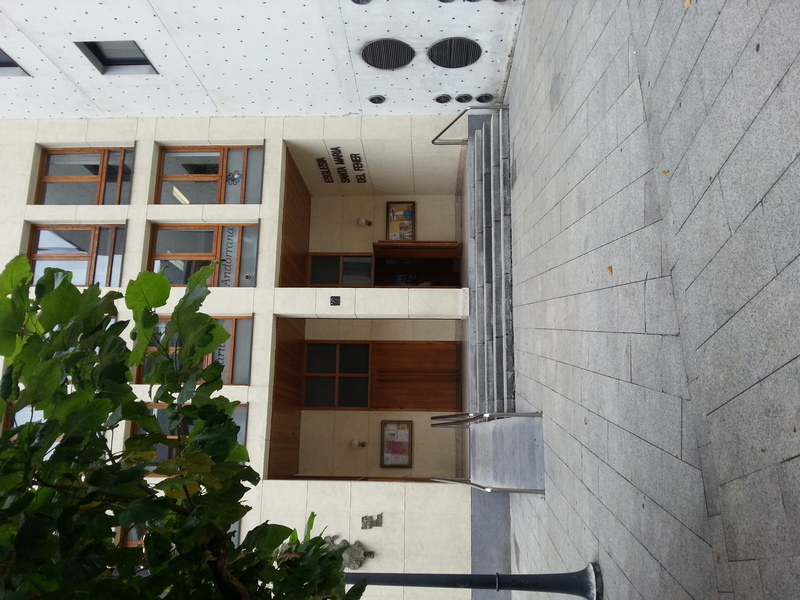 This is the entrance to Santa Maria del Fener – to the left and out of sight is the head office of a local insurance company (large blue signs). 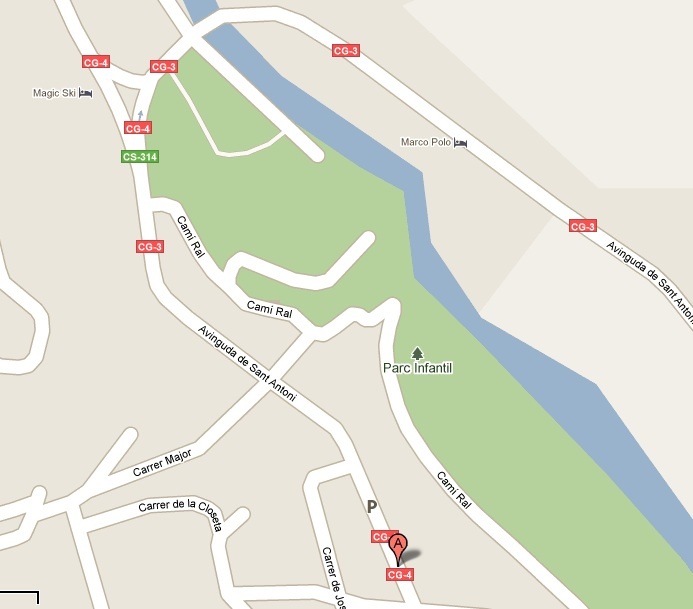 La Massana is situated in the Vall Nord of Andorra and reached by taking the CG3 from Andorra la Vella. You enter la Massana on the Avda Sant Antoni and, at the point that this street narrows, just by the Hostal Palanque, the old Carrer Major is to the left. The parish church of Sant Isicle and Santa Victoria is situated on the old Carrer Major where it turns sharply through 90 degrees to the left. 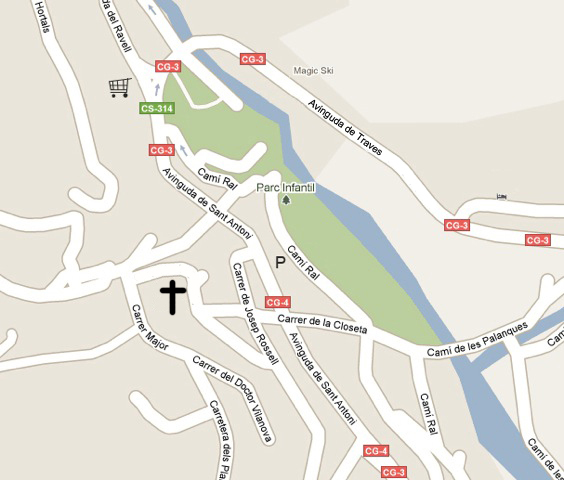 Parking can be difficult outside the church, but there is always space in the underground pay car park at La Closeta on Ava Sant Antoni , which is situated right by the Esso service station just a short walk away (and marked ‘P’ on the Google map). These images should give you an idea of what you’re looking for….on Christmas Eve!